(Newser) – A Texas Republican congressman is adamant in his backing of the trans-Alaska pipeline, but not because of silly energy independence. No, we must keep the oil flowing for the sake of ... caribou romance. 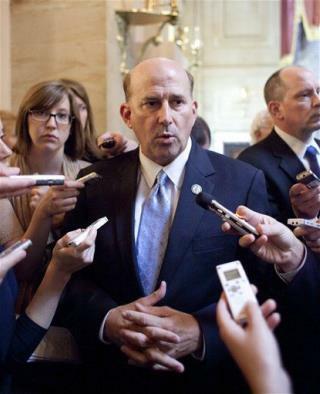 So argued Rep. Louie Gohmert, tongue perhaps in cheek, during a meeting of the House Natural Resources committee last week, reports the Washington Post. Gohmert made the case that the warmth of the oil making its way through the pipeline encourages the randy behavior (and population boom) of the region's caribou. Holy crap!!! Congress and I actually have something in common!! Who knew!?!?! It appears that a 10% approval rating is still to high for these jackass puppets who call themselves our government?